Monarchs from around the world assembling for the Queen’s Jubilee lunch at Windsor Castle on May 18 have also been invited to an event in her honour the next day at Coworth Park Hotel in Ascot. But they may not have the pleasure of her company. ‘The Queen’s diary is incredibly busy so she may not make it,’ I’m told. 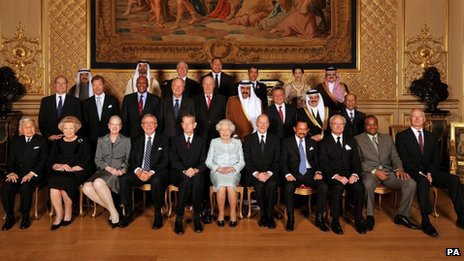 I wonder if the invitation list extends to the King of Bahrain, who is controversially attending the Windsor Castle lunch? ‘The Queen’s diary is incredibly busy so she may not make it,’ I’m told. 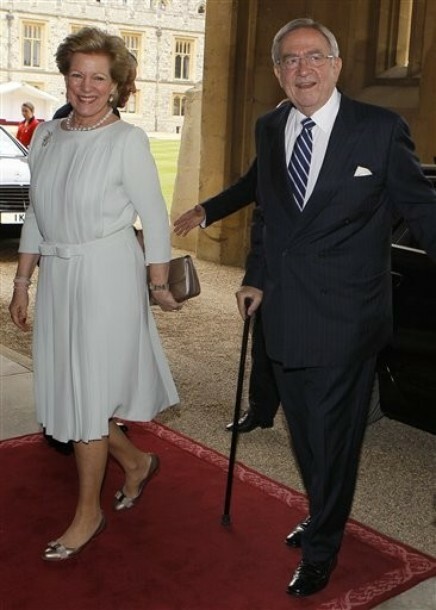 That is so odd that HM would skip out on a meeting with the other monarchs; usually she makes it a point to attend these events and end up schmoozing with them. 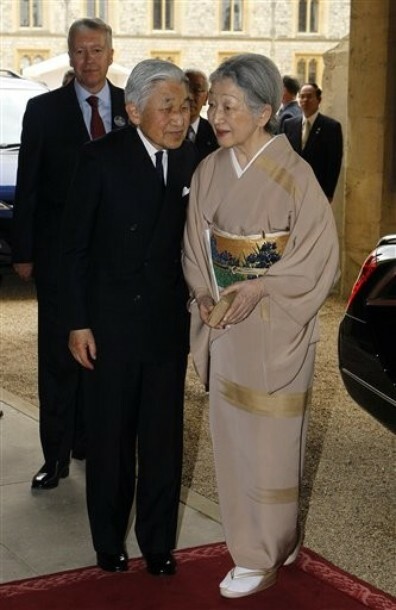 For me, I'm deeply concerned about HM's health right now. Don't ask me why 'cause I have nothing concrete to back it up, but perhaps she needs a well-deserved break so that she may continue her role as long as possible. In other news, Jecca sure nabbed (if it's true) one awesome dude. I don't think she has any serious health problems just things that are normal at her age maybe she is just tired totally normal if you ask me ...she needs to take it easy. ^ She can't be everywhere.I hope the monarchs will wear their finest jewelry . windsor lunch will be attended by Kate, Wills & Harry. 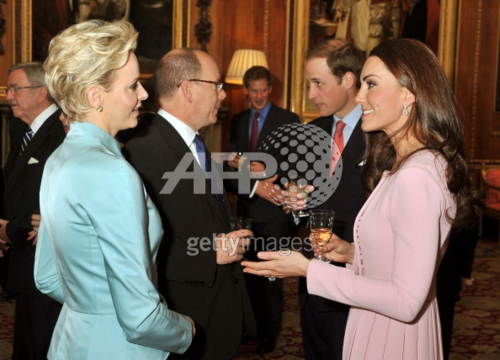 I can already see Hello's titular: Kate a star among the monarchy of the world. Or they'll claim WK represented HM. Are we sure The Do Littles and Harry will attend? So will Hot Harry and Do Littles be at todays event? 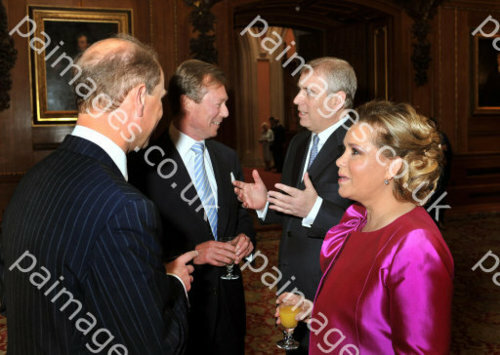 EDIT: if it doesn't come up type Jubilee lunch into the search box and heaps of pics of everyone inside will come up. 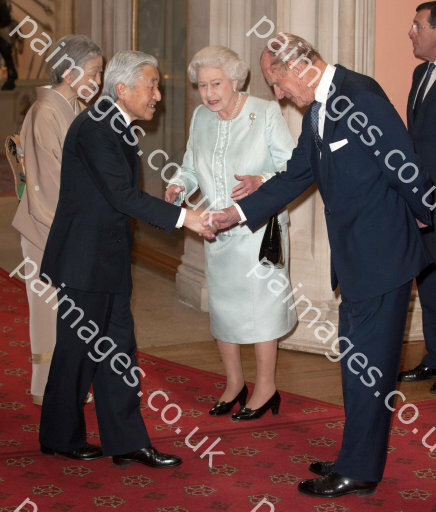 The Queen and Duke of Edinburgh greeted their guests personally when they arrived, patiently waiting outside the Castle's Waterloo chamber where the pre-lunch reception was held. 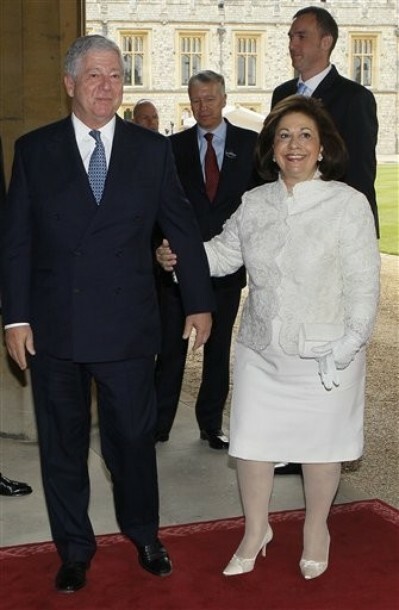 First to arrive was Prince Hans-Adam II of Liechtenstein, soon followed by Grand Duke Henri and Grand Duchess Maria Teresa of Luxembourg. The Grand Duke and Duchess were warmly greeted by the Queen and Duke with handshakes and double kisses - a display of affection that set the tone for many of the welcomes. King Harald V of Norway kissed the Queens hand when he and his wife Queen Sonja met the monarch and she replied with a beaming smile. 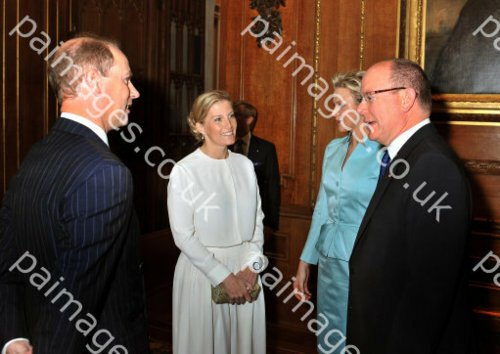 Prince Albert II of Monaco was more formal with just a handshake while his wife Princess Charlene gave a low curtsey. The most extravagant welcome came from Queen Beatrix of Netherland who flung open her arms as she approached the Queen before kissing her. Charlene looks a bit taller than Kate there. I like Charlene's hair it reminds me a bit of Diana's. Ok, she gets one brownie point for the dress but that's it. It is a bit washed out on her, but the style is really nice and the pleats add a little shape to her broomstick body. Charlene looks so polished and much more appropriately put together than she, tho, and doesn't feel the need to flash her ring around and, well, there's no contest. I hope HM had a wonderful time! The Duke and Duchess of Cambridge today joined dozens of royals from around the globe for a special lunch celebrating the Queen's Diamond Jubilee. Wearing a pink Emilia Wickstead dress with pleated skirt, Kate looked entirely at ease as she mingled with the international royals, chatting warmly with Princess Charlene of Monaco, and sharing a joke with the King of Jordan and his wife. A sneak peek at the seating plan showed there were 24 Kings and Queens, one Emperor, a Grand Duke and a Sultan. Eight princesses, an Emir and a lone Empress added a further layer of gravitas to the mix. I agree I think Charlene looks polished. 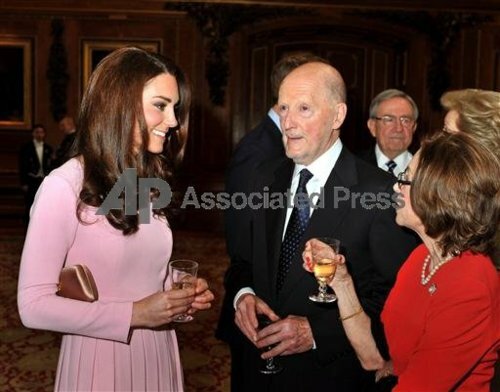 Kate's dress shape is nice but the color is a bit blah for her. 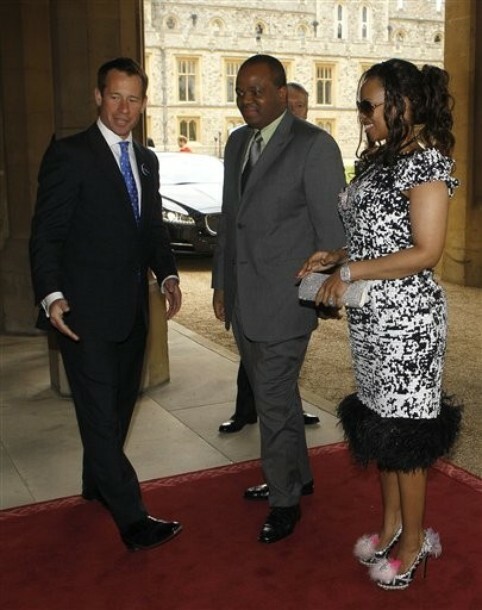 I always like Pr.William's suits even though I know some find his attire stuffy. His suits are always so nice.imo Poor William's hair looks awful though, not much he can do about now I suppose? It looks as if he's trying to not look up at Pr.Albert's head. 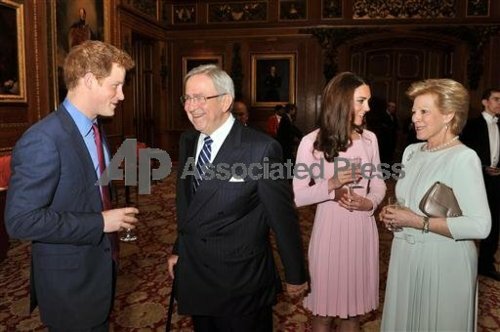 It was also nice to see Sophie and Harry chatting for a moment.